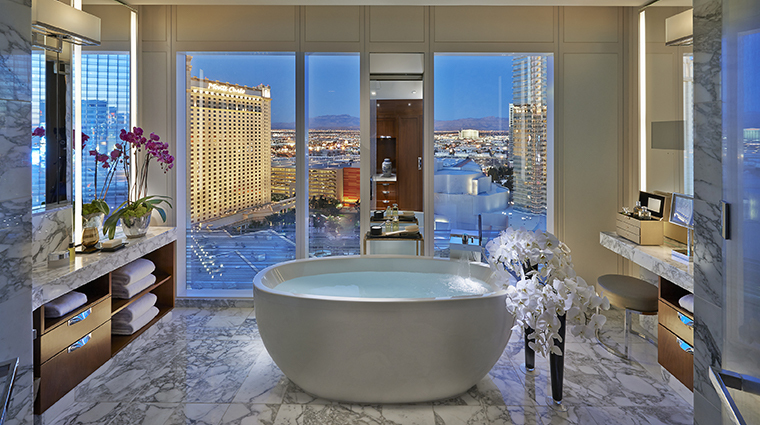 Waldorf Astoria Las Vegas has arrived on the Las Vegas Strip, offering unforgettable experiences, timeless amenities and more. 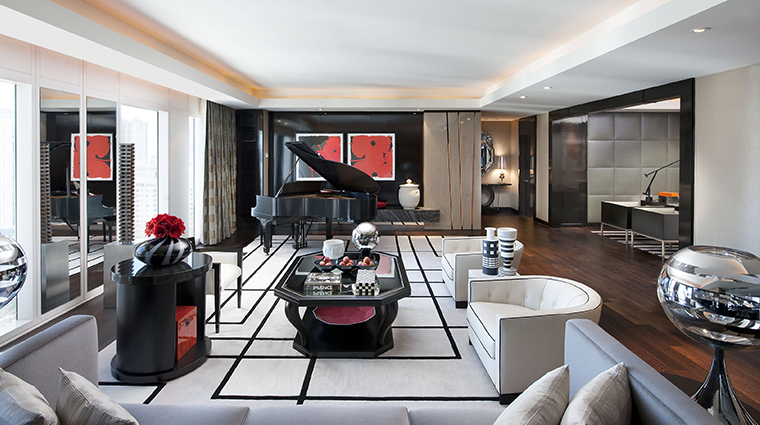 The luxury non-gaming, non-smoking 47-story hotel delivers the same sophisticated elegance and top-notch service for which Waldorf Astoria is known. Spacious guest rooms include floor-to-ceiling windows and state-of-the-art entertainment systems as well as unique features such as pass-through valet closets, which allow the staff to deliver your room service or pick up your dry cleaning without ever having to disturb you. 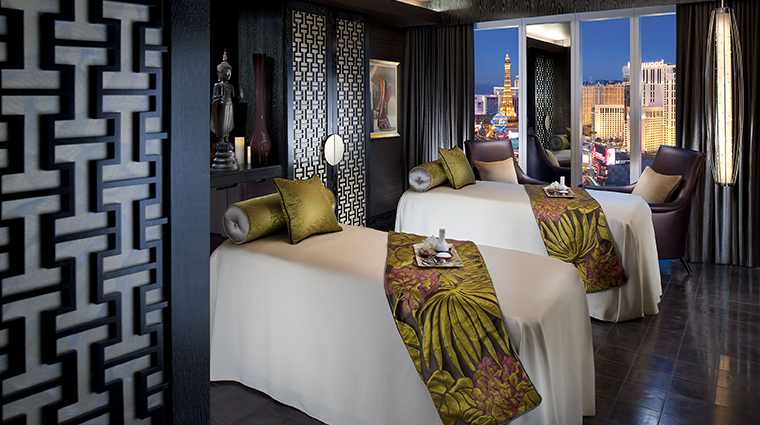 The public areas in this stylish hotel are every bit as alluring as the guest rooms, with some of the best views in Las Vegas thanks to walls of windows throughout the hotel. 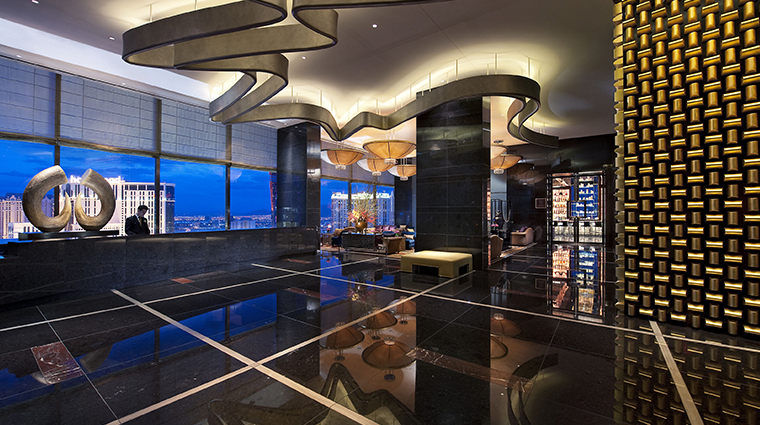 When you arrive at the 47-story luxury hotel, you'll head to the 23rd-floor Sky Lobby to check into your room. 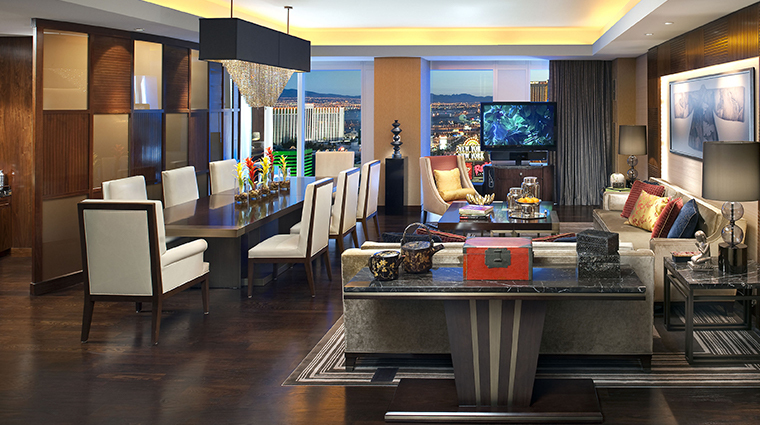 The unique arrival gives you a glimpse of the hotel's ambience, quaint and elegant, with floor-to-ceiling windows showcasing Las Vegas' surrounding mountains and spectacular lights. 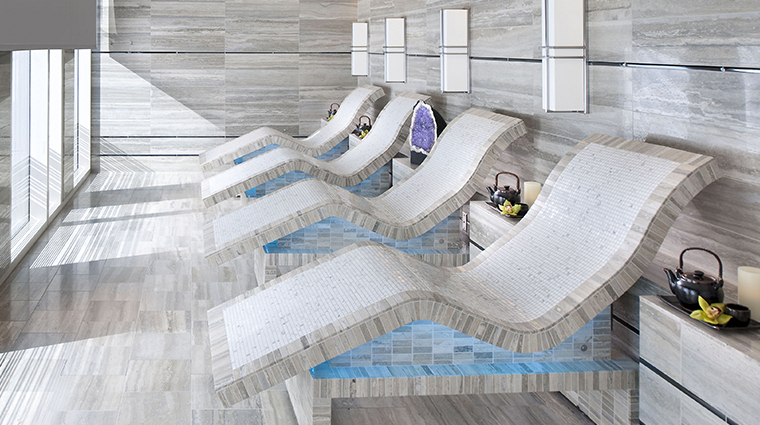 The 27,000-square-foot Waldorf Astoria Spa spans two floors and is a rejuvenation haven. Indulge in body massages and wraps, foot and facial treatments and thermal experiences, such as the plunging pools or the ice fountain. 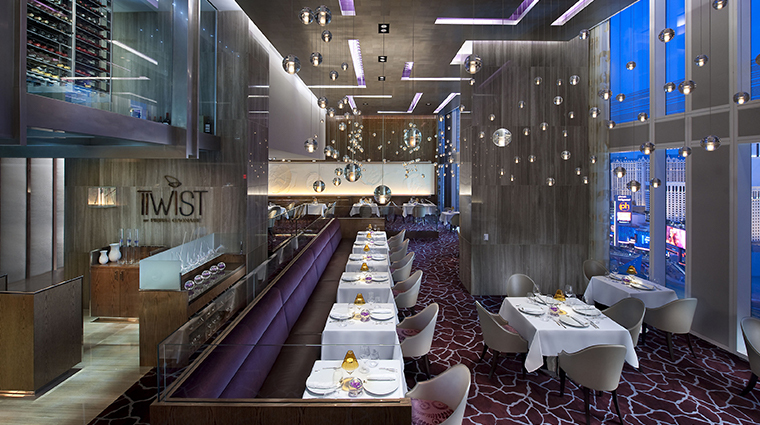 French chef Pierre Gagnaire dishes out traditional flavors with a scientific flair at his only U.S. restaurant, Twist, experimenting with texture, taste and temperature. As the leader of the fusion movement, Gagnaire breaks convention one course at a time. 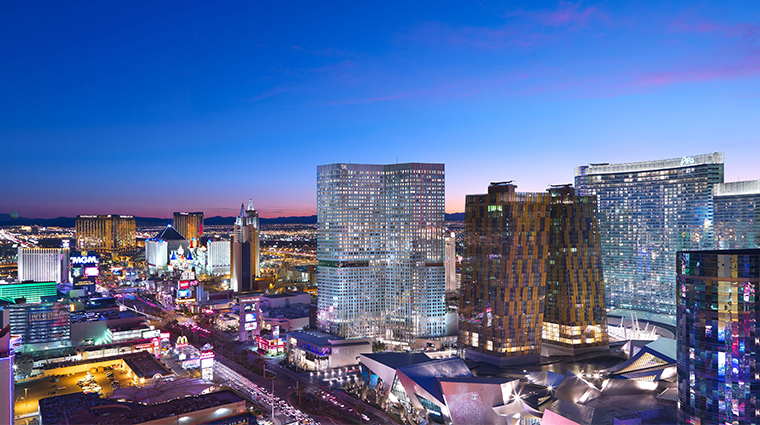 Just steps away from the city’s shopping, dining and entertainment offerings, Waldorf Astoria Las Vegas is set in a non-gaming, non-smoking environment. It’s a refuge from the raucous Strip. 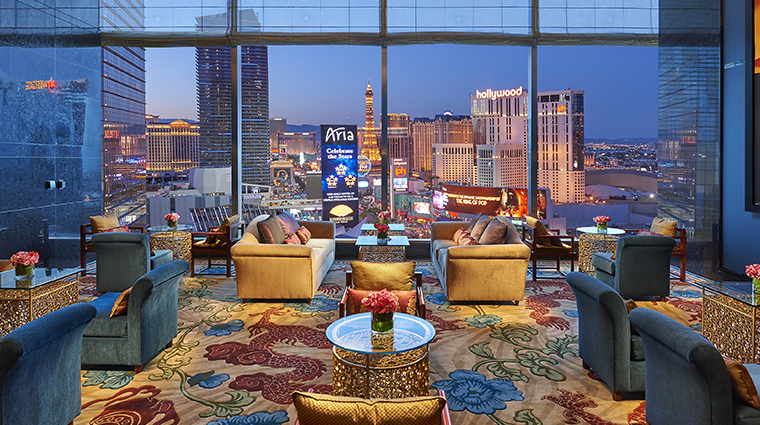 Las Vegas is all about the drinks — including tea. The Tea Lounge at the hotel adopts an afternoon teatime ritual from 2:30 to 5 p.m. that delivers an herbal boost for the rest of the day. The Five-Star hotel has a no-animals-allowed policy, but the concierge will happily help you find a pet service if needed. This luxury hotel provides handy amenities and services in case you decide to tote your youngsters along on vacation. Cribs with baby amenities, strollers, babysitting services and a children’s menu for room service (and at the hotel’s restaurants) are all designed to make your stay easier. 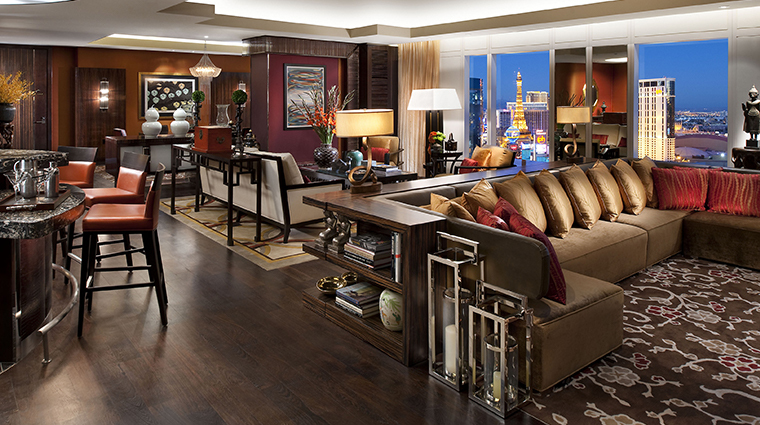 Waldorf Astoria Las Vegas radiates sophistication; select a City View or a Strip View Room to take it all in. 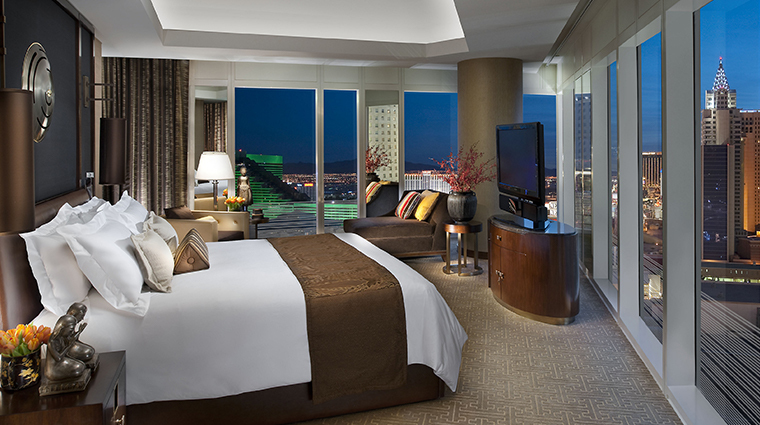 All accommodations contain floor-to-ceiling windows that provide dramatic views of the bustling Las Vegas Strip and surrounding desert landscape. In every bathroom, a mini flat-screen TV will appear in your mirror to entertain you while you’re primping or lounging and lathering in the deep soaking tub. At Twist by Pierre Gagnaire, on the 23rd floor, you have a choice of à la carte dining, the three-course tasting or Gagnaire’s Spirit six-course tasting menu, which comes complete with wine-pairing options. Savor Gagnaire dishes like the Idaho Kobe-style beef or the roasted chicken breast stuffed with almonds and pistachio paste. But save room for the six-part Signature dessert. On the third floor of the Las Vegas hotel is Zen Kitchen, an East-meets-West eatery featuring Asian fare and sushi specialties. The restaurant serves breakfast, lunch and dinner daily. Located on the 23rd floor, Skybar serves up handcrafted cocktails and light bites set beside remarkable views of the glittering Strip. 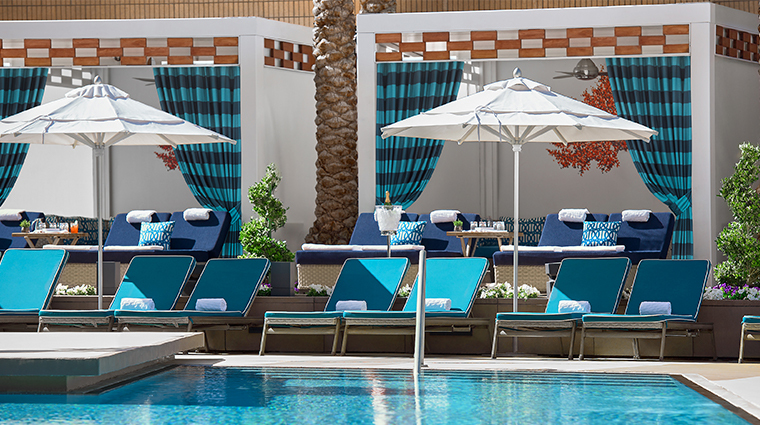 If you’d rather dine with a tan, the Pool Café will serve you in one of the 20 private poolside cabanas for breakfast until 10:30 a.m. and lunch until 5 p.m. With chilled items like smoothies or cucumber soup, you’ll beat the Las Vegas heat.